It’s National Women’s Health Month! Did you know that infertility affects about 6% of married women ages 15-44 years in the U.S. Additionally, about 12% of women 15 – 44 years of age in the U.S. have difficulty getting pregnant or carrying a pregnancy to term, regardless of marital status. Several things increase a woman’s risk of infertility, including age, smoking, excessive alcohol use, extreme weight gain or loss, some untreated sexually transmitted diseases or excessive physical or emotional stress that results in the absence of a menstrual period. 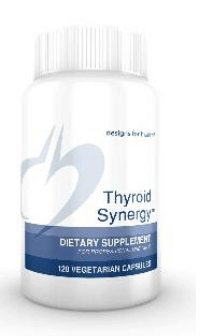 Thyroid Synergy™ is a top-quality, all-in-one formula that supports thyroid function and helps maintain healthy cortisol, blood glucose and insulin levels. This full-spectrum multivitamin contains Albion chelated minerals for maximum absorption and bioavailability. This powerhouse multi supplies supportive nutrients not normally found in regular multis. 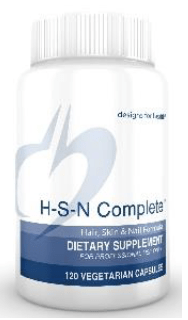 This comprehensive formula combines a wide array of vitamins, minerals, amino acids, and botanicals in order to provide building blocks necessary for healthy hair, skin and nails. Xymogen ActivEssentials™ for Women: ActivEssentials™ for Women is a combination of four targeted nutritional formulas packaged together to provide convenient and comprehensive nutritional support. 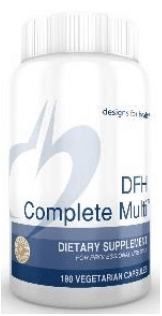 DFH Metabolic Synergy™: A nationally prominent medical doctor specializing in blood sugar and endocrine health designed this multivitamin and mineral formula. Metabolic Synergy™ helps maintain healthy glucose and insulin levels, while supporting the conversion of carbohydrates to be used for energy by providing nutrients for the TCA cycle. ✓ According to a national health survey, nearly 13% of women over the age of 18 are in fair or poor health. ✓ Almost two-thirds of Americans with Alzheimer’s are women. ✓ The leading causes of death for women in the U.S. include: heart disease, cancer, and chronic lower respiratory disease. ✓ 1 in every 8 women develop breast cancer at some point. -Losing excess pounds – and keeping them off – can help lower your risk of heart disease as well as various types of cancer. -Exercise can help you control your weight and lower your risk of heart disease and stroke. -Abstain from smoking and smokeless tobacco as women are more vulnerable than men to lunge damage from inhaled smoke and pollutants. -Prevent respiratory infections by washing your hands often. -Schedule frequent breast exams early in life, starting in your 20s. Doctors recommend yearly check-ups starting in your 40s, but women in their 20s are at risk, too. -Aim for at least 30 minutes of exercise a day, five days a week to prevent heart disease – the leading cause of death among women in America.